Murdex Lava-D is a RDA with the switching from single coil to dual coil function. Single A, single B and Dual A & B modes. You can adjust it according to your needs. 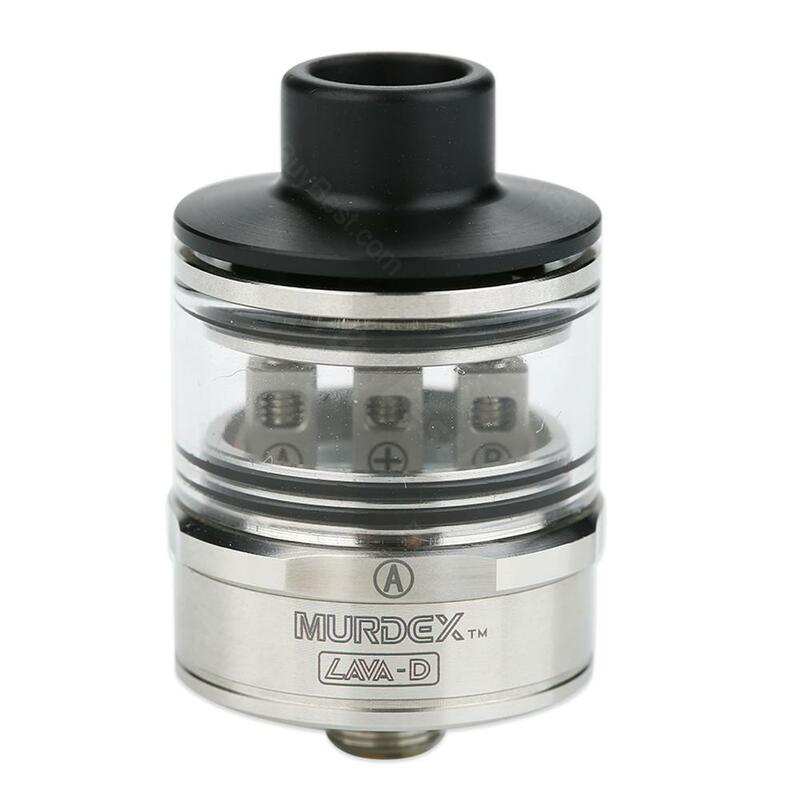 The Murdex Lava-D RDA is 24mm atomizer with coil control function, which supports three different heating modes - single coil - A, single coil - B and dual coil - A and B. Which means you can adjust it from single coil to dual coil and vice versa by revolving the base. Deck of the Lava-D features three posts to install the coils. According on how many coils you are using, you can adjust the top airflow on a single or dual coil mode by rotating the top cap. Together with stylish minimalistic look and good performance, Murdex Lava-D will ensure your smooth vape experience. The tank arrives without any hassle, no tax, and ships to American with 9 days. Not bad. Nice shop. Preis-Leistungs-Verhältnis ist klasse, dass Murdex Lava-D wurde wie angegeben schnell geliefert. Die rauchentwicklung ist sehr gut hat mich positiv überrascht.